Breaking News: Governor Scott signs HB 529 into law. HB 529 clarifies the legality of the trash collection services across Florida. The Florida Fire Prevention Code is ambiguous with regard to allowing trash containers to be placed temporarily in hallways and breezeways. 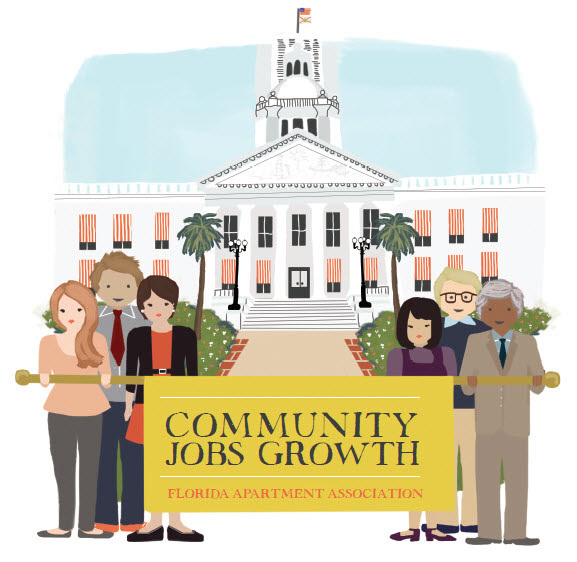 The Florida Apartment Association, in conjunction with the doorstep waste collection industry, sought clarity of the code by filing HB 529. Halting doorstep trash collection services would eliminate jobs and disrupt a valuable apartment service. Doorstep trash collection service is allowed across the United States, and clarity in the Florida Fire Prevention Code will allow the industry to continue to do business. Thank you for your efforts to advocate on behalf of FAA and the doorstep waste collection industry in Tallahassee.